New direction: Fiat India president and CEO Rajeev Kapoor. Photo by Abhijit Bhatlekar/Mint. Mumbai:Fiat India Automobiles Ltd, struggling with falling sales, will be looking to a recent restructuring by parent Fiat SpA of Italy to make its cars more popular with buyers in one of the key emerging markets. As part of the new strategy, aimed at enhancing regional focus, a new headquarters for the Asia-Pacific region has been set up in Shanghai that covers India, China, South Korea, Japan, South-East Asia and Australia. In the eight months to August, sales fell 22% to 7,874 cars from a year earlier. Total sales during that period fell 1.26% to 743,358 units, according to the Society of Indian Automobile Manufacturers. The India unit is a 50:50 joint venture with Tata Motors Ltd and makes and sells the Palio, Grande Punto and Linea models. The regional focus may help the company become more responsive to customers, said R. Venkatraman, a Chennai-based independent management consultant. “In my opinion, what is driving this initiative is putting in place a better communication and feedback mechanism from customers", which is critical for a global company, he said. “The way a customer behaves in the US is different from the way one does in China or any other emerging market." The danger is that this may delay macro-level decisions, such as budgeting, as these will need to be vetted by both the regional and global headquarters, said Venkatraman. The move will lend a sharper focus to India operations, Rajeev Kapoor, president and chief executive, Fiat India, said in an interview. “We are now one of the two most important markets in the Asia-Pacific region," said Kapoor, who has been making frequent trips to China since the headquarters was set up there. Within the Asia-Pacific region, “there will be a lot of sharing of platforms and technology". 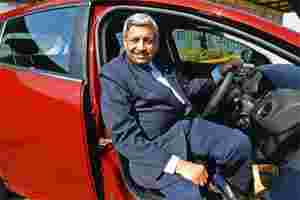 Apart from poor sales, the India venture has been buffeted by reports of differences between Tata Motors and Fiat, which joined hands in 2007. Fiat said in September that it has asked some Tata-Fiat dealers to set up separate showrooms for its cars. Kapoor said this is primarily for metro cities where display of both the Tata and Fiat models is resulting in congestion. The arrangement in the rest of the country will remain unchanged. Mohit Arora, executive director at JD Power Asia Pacific, Singapore, said the success of the new retail model will hinge on the viability of dealers. “They should see enough merit in it," he said. Hormazd Sorabjee, editor of trade magazine Autocar India, cited the lack of focus from Fiat’s headquarters in Turin as a key reason for the local arm not being able to live up to expectations in terms of retail and roll-outs of new models. “They desperately need new models," he said. “Their (the management in Turin’s) bandwidth has been stretched for India." Having a regional headquarters in Asia should help, he added. Uncertainty over after-sales service has also plagued Fiat in India, an area in which market leader Maruti Suzuki India Ltd has always shown strong customer approval ratings. While Fiat’s cars are admired for their styling and performance, the quality has disappointed some prospective customers. “They need to enhance product quality significantly," said JD Power’s Arora. “The service infrastructure, along with the quality of experience delivered to the customers, also needs attention." The regional focus will help the Italian car maker rationalize capacities by sharing them, which will lead to cost benefits, Kapoor said, citing the example of the China factory sourcing parts from India for which it has excess capacity, rather than making fresh investments. Mint had reported on 15 August on the company’s plans to export engine parts to Fiat’s China factory from March 2012. Such initiatives may be stepped up across the region, Kapoor said. Similarly, the subsidiary in India can also shop for parts from China and other markets in the region if the pricing is more competitive. With raw materials accounting for almost 80% of total cost, the company will keep exploring ways—for new as well as existing models—to trim costs by sourcing from alternative suppliers. The idea is to shave off at least 3-5% of the cost every year, Kapoor said. This will hasten the pace at which new models are introduced, he said. The initiative also opens up new export geographies such as the Association of Southeast Asian Nations region. Moreover, Fiat’s subsidiaries can benefit from the cost arbitrage that India enjoys in manufacturing, design and engineering, he said. As for Fiat’s plan for a new small car, he said the company conducted customer clinics in Delhi and Mumbai, and the inputs have been sent to the Turin headquarters, where the car is being developed. It will be launched in India in 2013.